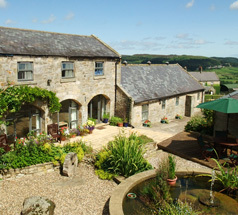 At Tosson Tower Farm, we've built an enviable reputation for Northumberland B&B accommodation coupled with a great welcome and exceptional service. Our B&B holiday accommodation is no exception. We offer 6 double and one twin room located in the Farmhouse and at the newley developed Millrace Barn. All ensuite and appointed to the very highest standards and equiped with everything you need to make your stay in this beautiful area as comfortable as possible. Bed and breakfast prices are from £50 per person sharing. Single occupancy from £80 per night. 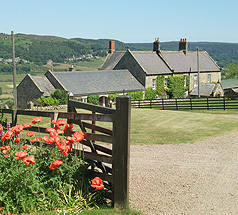 The farmhouse is a traditional Northumbrian sandstone house built around 1800. It is situated in the hamlet of Great Tosson with a spectacular outlook to the Cheviot Hills. Truly offering the very best of both worlds - Exclusive and independant accommodation in this exceptional conversion of traditional farm buildings.